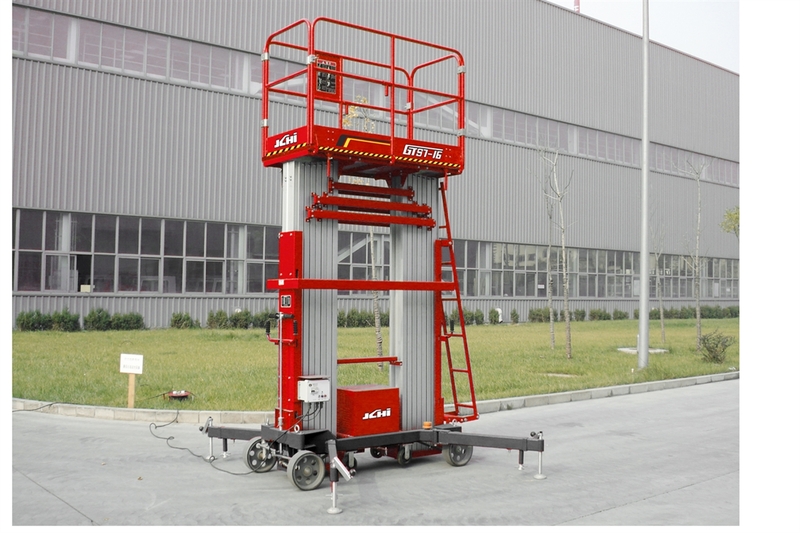 GTS7 double mast aerial work platform is compact, light, conveniently moved and reliable. Double masts are equipped to ensure high stability. Two persons are allowed to work on it and thus, working efficiency is improved greatly. GTS7 is good for fitment of hall and lobby, maintenance and cleaning of pipelines, doors and windows and exhibition build-up. It is also good for aerial work in narrow workshops.